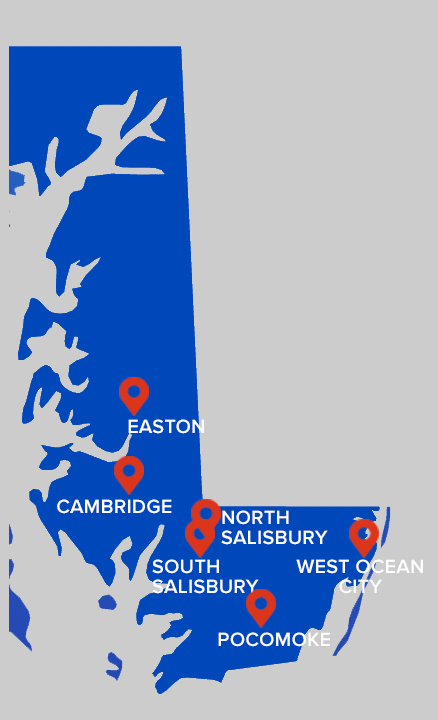 Whether visiting our Salisbury, Pocomoke, Easton, Cambridge or West Ocean City location, the ancillary services available at Your Doc’s In provide us the state-of-the-art tools to fully diagnose and then treat your medical problem. Digital x-ray services are conveniently and comfortably available at all of our facilities. Our technologists have the certification and training to provide safe and accurate x-ray services. All of the studies are immediately reviewed in our centers saving you the time and inconvenience of going elsewhere to have your x-ray performed. Our facilities are certified through the state of Maryland. A digital copy of your x-ray can be provided to you should you need to be referred for an outside consultation. The trained staff in our laboratory facility, located in each office, perform the most routine blood and urine tests right on site. Most of the results are available within 30 minutes. When testing is more complex, we can collect and prepare the specimens at our location and send them out to an outside lab for processing and review. The patient is responsible for notifying us of any requirement by their insurance carrier that lab work be performed by a designated lab. However, there is no need for you to travel to a second lab for your bloodwork. All of our facilities are certified through CLIA by the state of Maryland. Electrocardiography (ECG or EKG) is the process of recording the electrical activity of the heart over a period of time using electrodes placed on a patient’s body. This is a test that checks for problems with the electrical activity of your heart. Each of our facilities offer EKG services. All results are immediately available for review by your provider.